Peter Wilson, the world record-holder in the men's Double Trap Shooting event, won the gold medal in the Olympic men's Double Trap Shooting final recently at the 30th Olympiad in London. 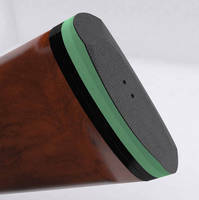 The stock of the shotgun used by Peter was fitted with a 'green shock absorbing pad' supplied by ACE's customer, Essex-based Recoil Systems. The 'green pad' as it is called is made from ACE's SL-100 SLAB visco-elastic PUR material which is specially designed and manufactured to absorb shock loads. 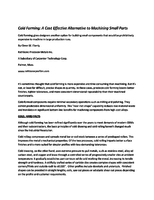 When the material is manufactured, vast quantities of tiny air pockets are formed. Due to the molecular structure of the material, these air pockets take the shape of tiny dodecahedrons (having 12 faces). This regular structure gives remarkable distribution of energy on impact. Any impact causes the cells to compress, forcing the webs of material outwards against each other thus slowing the impact down. After the impact, the material returns to its original shape at a steady rate and does not bounce which would create a return force to the shoulder, which is the significant problem with other recoil pads. In addition to the SLAB material, ACE also offers the RD AR15-FS Carbine Recoil Buffer for reducing bolt impact and improving accuracy. ACE Controls Inc. is an ISO 9001 certified manufacturer with a global customer service network that includes offices in England, Germany, Japan, China and India with distributors in over 110 cities in 35 countries. 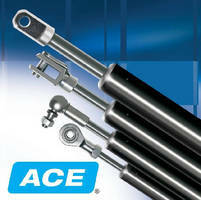 The product lines of ACE Controls include: industrial and safety shock absorbers, gas springs, hydraulic dampers, rotary dampers, feed controllers, TUBUS elastomer bumpers and SLAB for shock absorption and vibration damping. 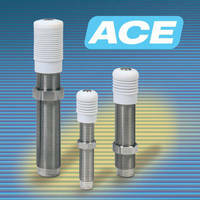 Shock Absorber features short stroke. 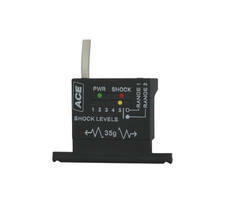 Industrial Shock Absorber is 1.22 in. in length. 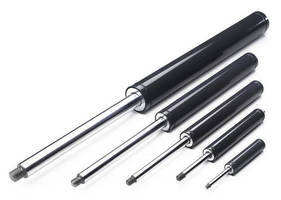 Shock Absorbers protect heavy machinery and equipment.